Prepare with confidence for the Phonics Check with Scholastic National Curriculum Tests. 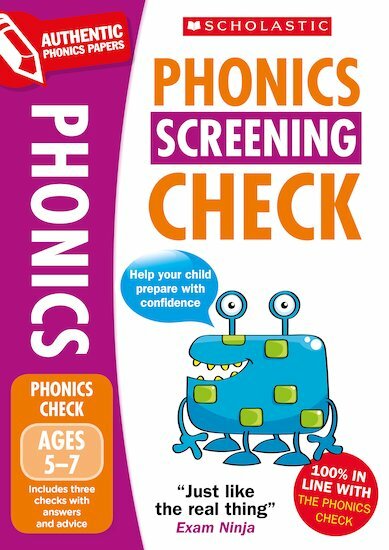 Trusted by teachers and parents, Scholastic’s Practice Papers are fully in line with the Phonics Screening Check for children in Year 1. The Practice Papers will help your child achieve to the best of their ability. Essential practice papers for the Phonics Check to help your child prepare with confidence. 100% in line with the Phonics Check – the most authentic practice tests available. Each book contains three complete screening checks, with additional phonic activities and clear guidance on what is expected.